It is the account of a woman who was forcibly made to continue the abortion of her 28 week old child. On the first day of her procedure the luminaria rods were inserted and digoxin was injected into the amniotic fluid (the luminaria causes the cervix to dilate and the digoxin causes the baby’s heart to stop). She was instructed to return the next day. When she did, the baby’s heart beat was still strong and steady. New luminaria rods were inserted and again she was instructed to return the next day (digoxin can take up to 48 hours to cause the baby’s death). But the next day she did not return. The doctor of the clinic became irate. The woman’s cell phone was called repeatedly with no answer. He then told the nurse to call the hotel where she was staying (there are few late-term abortion clinics so typically women travel great distances to them). The hotel manager got her on the phone and she said that she needed to go the ER and that she wanted to save her baby. After realizing he was not getting anywhere, the doctor hung up, took the nurse and his assistant with him to the hotel and brought the woman to the clinic through the back door under sedation. They got her on the procedure table and when she began to struggle they administered more sedative. The doctor then injected more digoxin and in 30 minutes the baby was dead. Because she was unconscious, the staff had to push on the woman’s stomach to deliver the dead baby boy. When she came to she desperately begged to see her son; to hold him and to ask for his forgiveness. Her pleas fell on indifferent and annoyed ears and she was escorted out by the police. Evil thrives in darkness (John 3:20) and through the accounts in this book Johnson and Detrow thoroughly clean out the closet of the abortion industry. From accounts such as the one above, to clinics being privy to prostitution, or misinforming women about the risks of medication abortion in order to achieve easier profits, the darkness is deep. But the light throughout each of these accounts is the light of redemption and healing that only comes through Jesus and is available to everyone who repents. Abby indicates in the preface that the individuals who came forward with these stories want the lives of others to be changed for the better as a result. 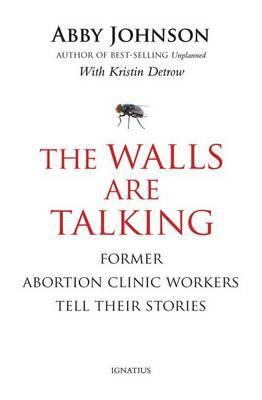 This book will motivate those who are pro-life to contend earnestly in making abortion unthinkable and unavailable and challenge those who are pro-choice to reconsider supporting an industry whose “heart beats”, as one former worker states, “exclusively for the almighty dollars made shedding innocent blood”. Pg. 70 Most importantly, the book will glorify Christ as the power of the gospel is on full display. I have no doubt that these accounts will change the lives of those who read them for the better. Again I say, you must read this book! Thank you to Abby Johnson, Kristin Detrow, and Ignatius Press for the review copy. How Can Mothers Get Engaged in Apologetics? Is the Trinity a Problem or a Solution?